Random pictures of small blue things (and purple things), because once again I haven’t the time to write meaningful content. 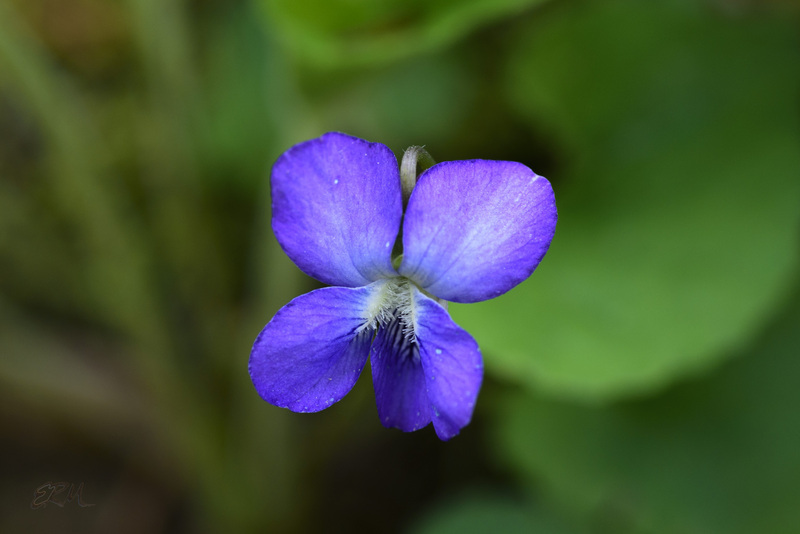 I don’t know if this is a color variation of common blue violet (Viola sororia) or something else. 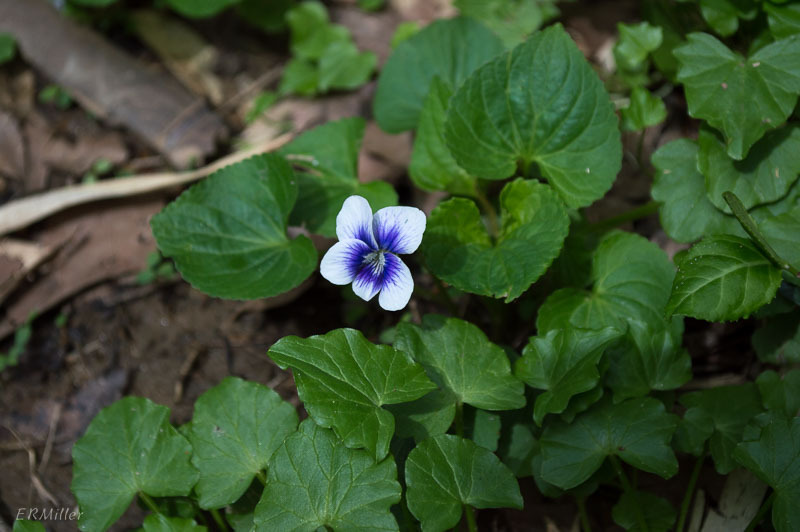 There is a well-known white form, sometimes called Confederate violet, but it doesn’t look quite like this one. Violets are notoriously promiscuous so who knows. The color is remarkably consistent every year. I’ve only seen them at Rachel Carson Conservation Park. 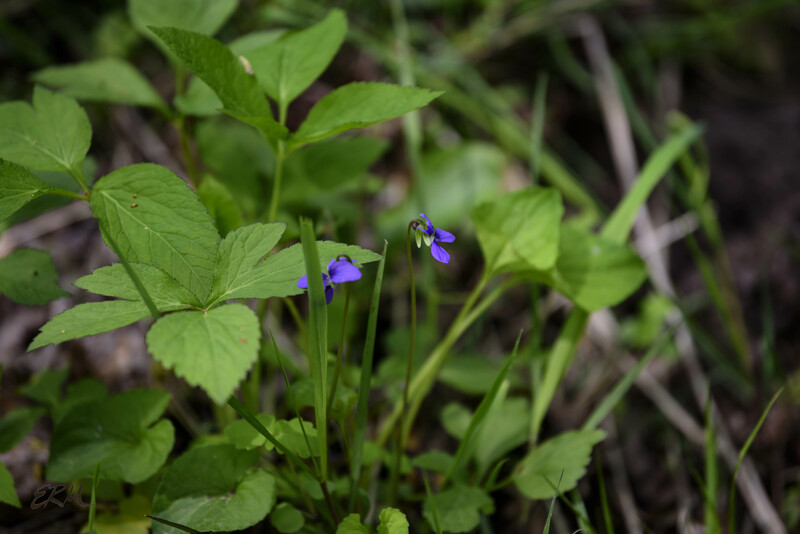 If you see a blue violet that stands well above the level of its leaves, and if it’s growing in or very near to open water, then it’s probably marsh blue violet (Viola cucullata). 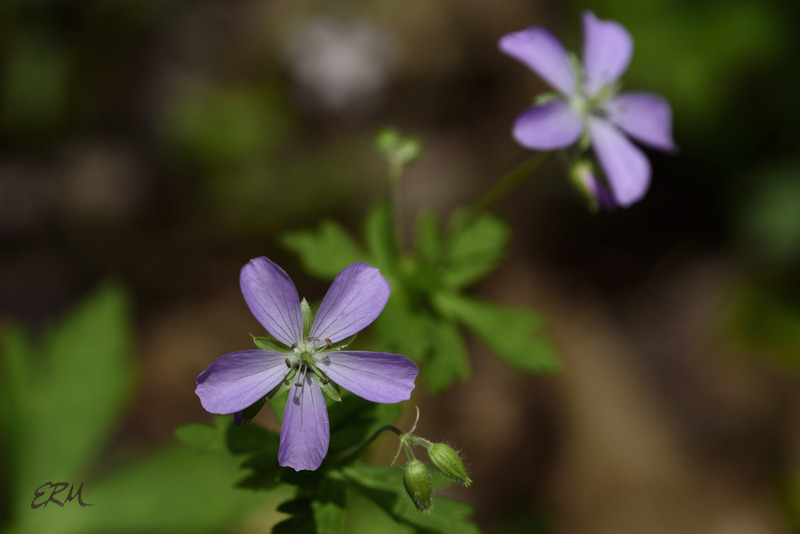 Wild geranium (Geranium maculatum), also at RCCP. These two were somewhat bluer than is typical. 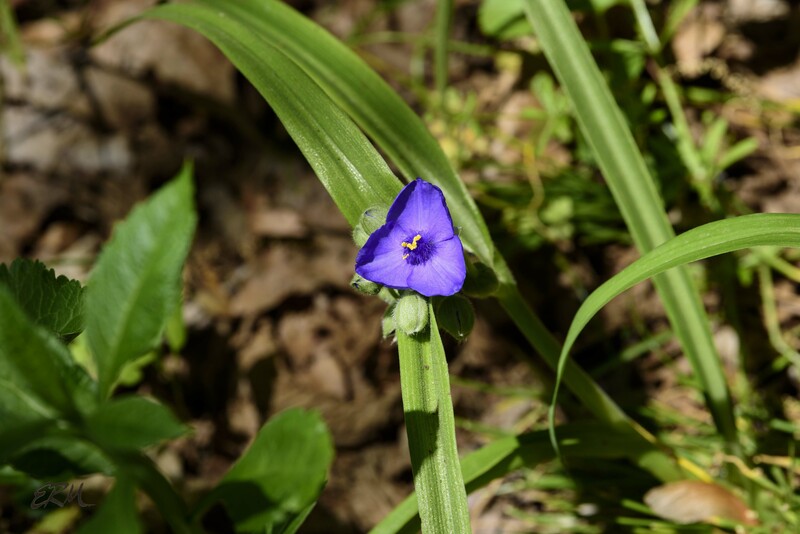 Virginia spiderwort (Tradescantia virginiana) There aren’t many three-petaled flowers around. 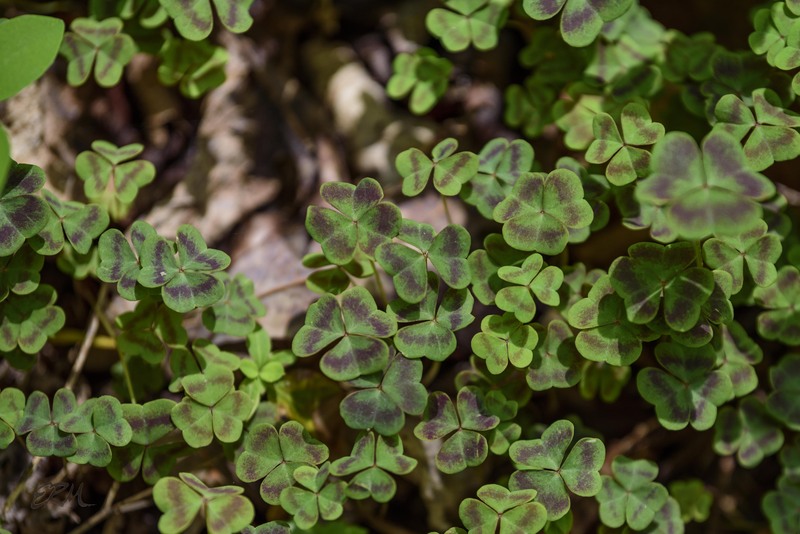 Only one of the seven species of Oxalis found in Maryland is an alien, but some of the others can be awfully weedy. I like them anyway. 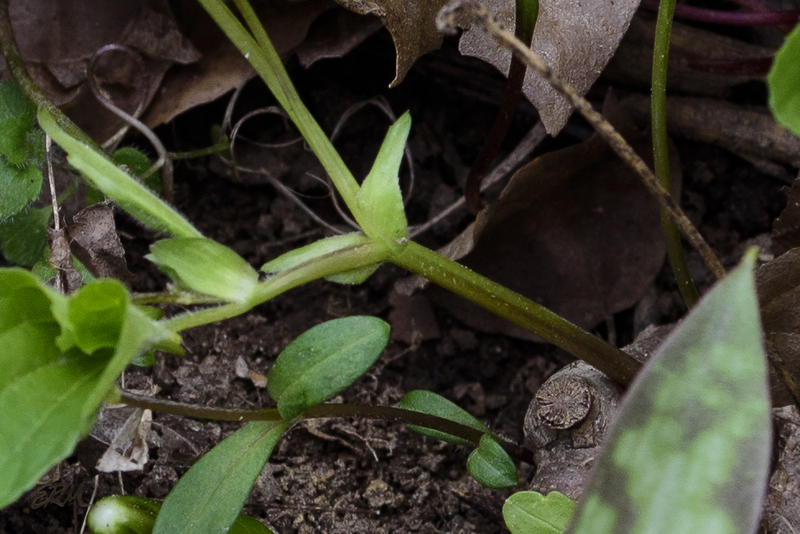 I’ve been on the hunt for Oxalis colorea, previously overlooked here until a fellow botanerd found it [hi, Bill]. If I make any progress I’ll write about it. 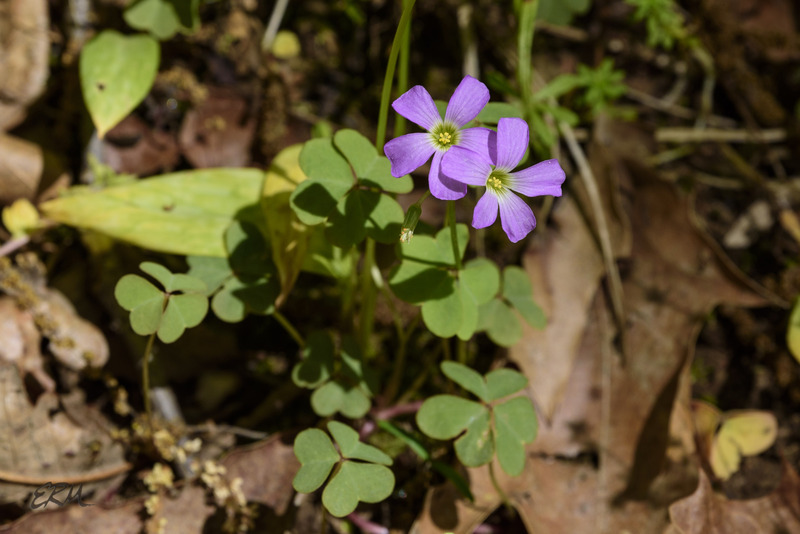 In the meantime, though, you just can’t call violet woodsorrel (Oxalis violacea) a weed. Even the leaves are charming. 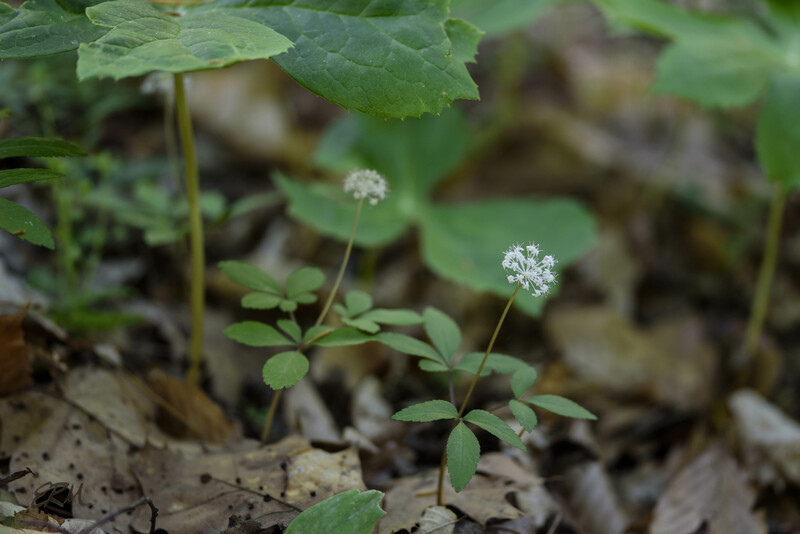 I’m working on a very complicated post that’s already a bit late for this season, but in the meantime here are two pictures of one of my favorites, dwarf ginseng (Panax trifolius). 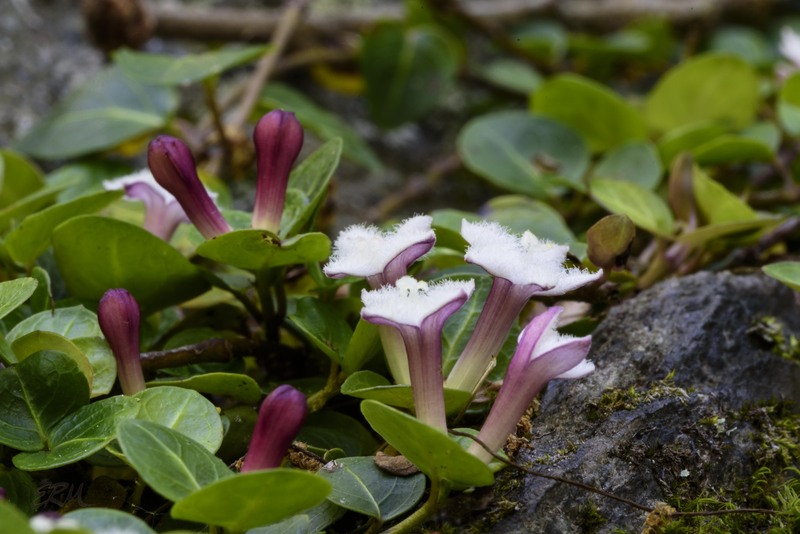 Yes, the specific epithet is misleading, since this plant sometimes has five leaflets rather than three. In the second photo you can see part of a mayapple (Podophyllum peltatum); that and the fallen leaves give you a sense of scale. 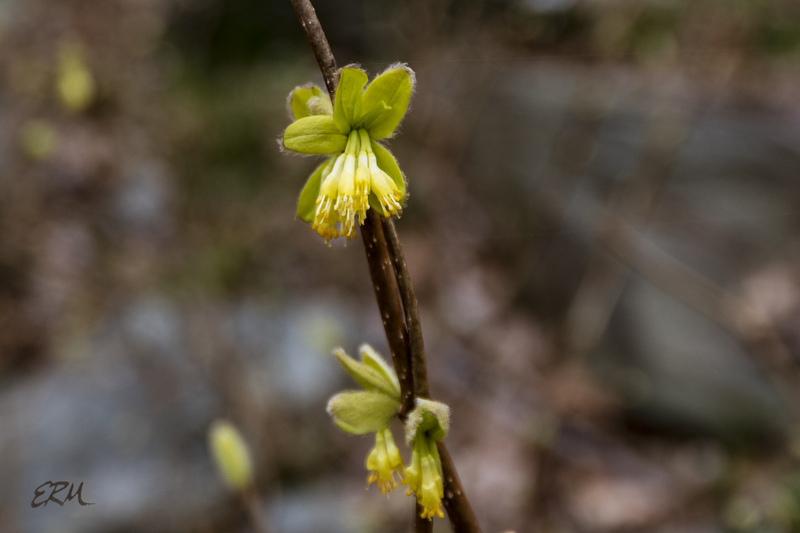 Dwarf ginseng is at peak bloom now in the southern part of the Maryland piedmont. 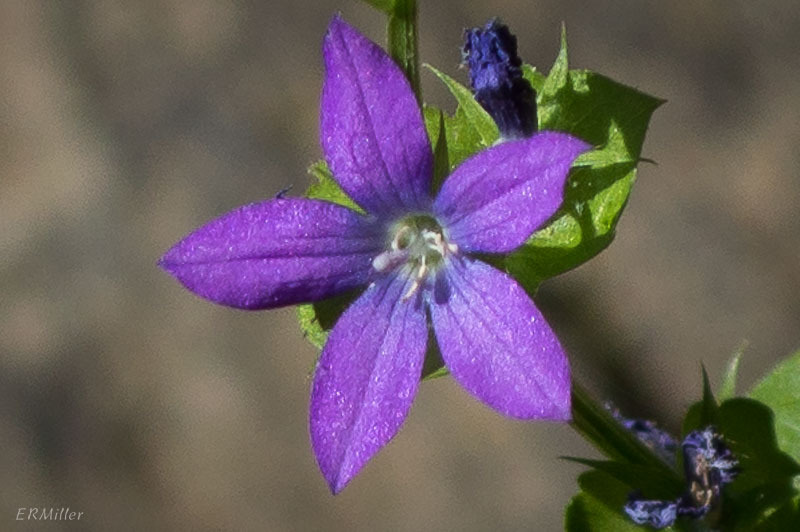 And what the heck, here’s a violet, because wow, look at that color. 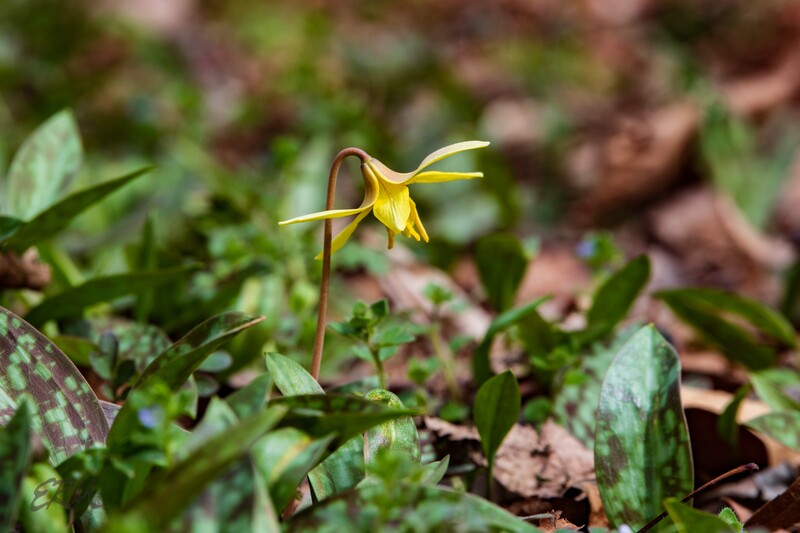 Yellow violets are easier, because there are only a few species, and only three of those are found in Maryland. 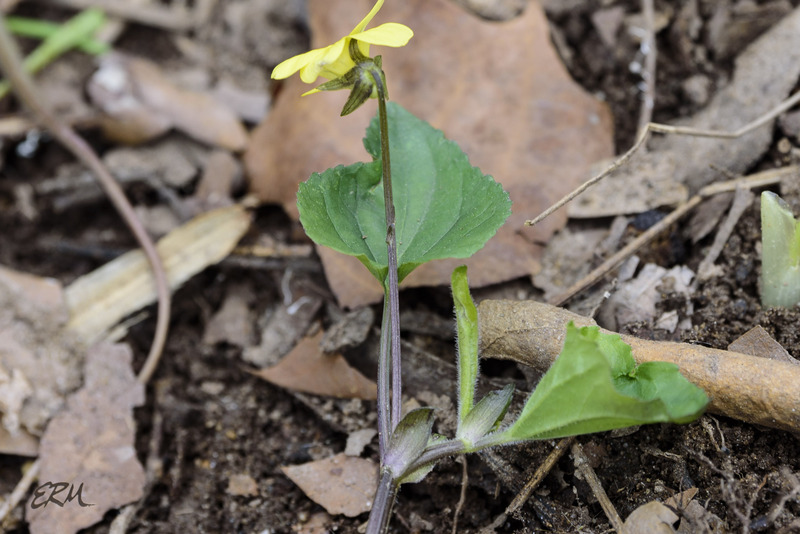 Right now, one of them is blooming in the Potomac gorge area: smooth yellow violet (Viola pubescens var. 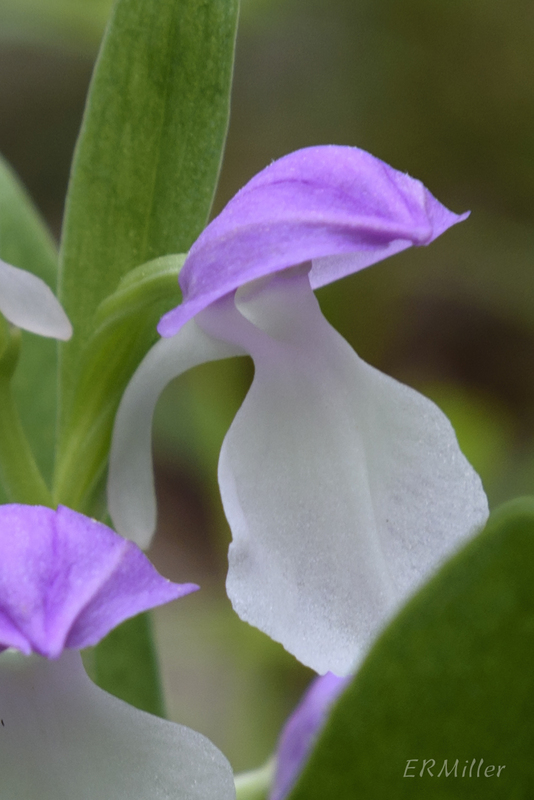 scabriuscula, formerly known as Viola pensylvanica). 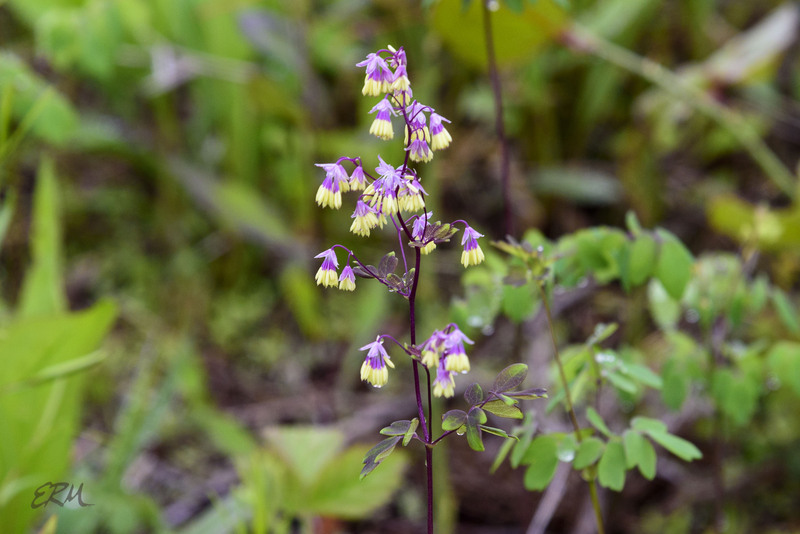 There’s a second variety of the same species that’s commonly called downy yellow violet (V. pubescens var. pubescens). I started writing this post almost a year ago, then realized I didn’t have any good photos for it, so set it aside until now. 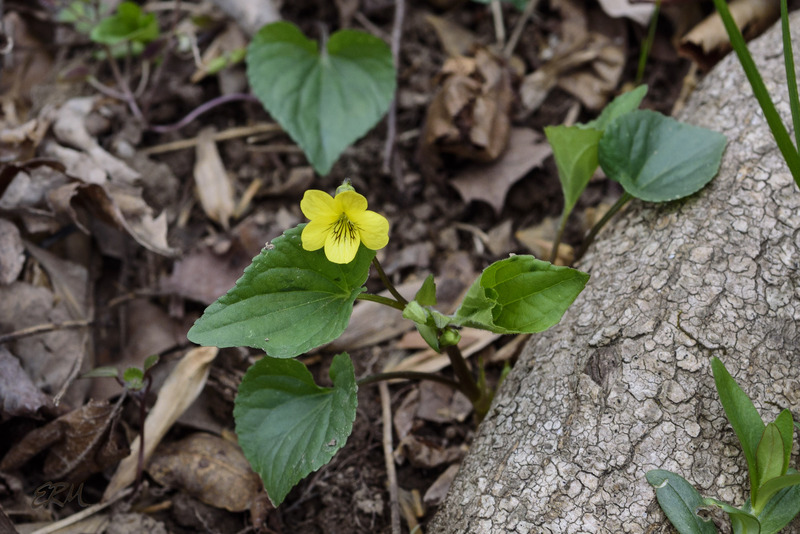 Over the last few days I’ve examined a few dozen yellow violets, and they’ve all been the smooth variety. I hoped to have photos of both for this post, but if I wait too long I’ll have to set it aside again, so here goes. 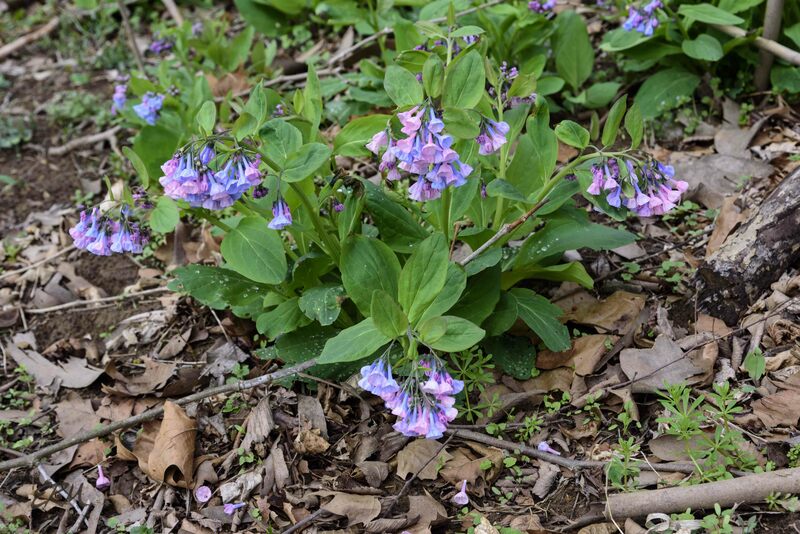 The two varieties bloom at about the same time (April) and grow in the same habitat (moist deciduous woodlands). The main difference between the two is hinted at in the name: in botany, pubescent means covered in short hair, while scabriuscula means slightly rough. Although this one is smooth yellow violet, you can see some pubescence on the leaf base and adjoining stem on the lower right leaf. 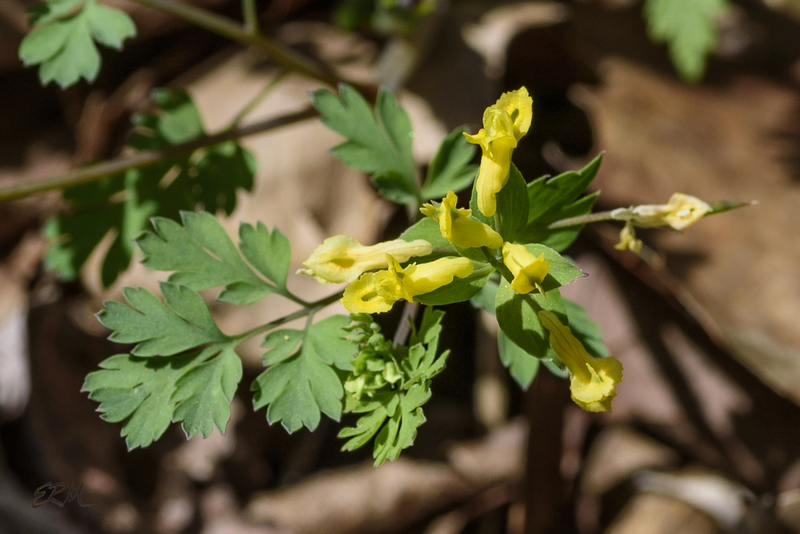 Smooth yellow violet can have a slight pubescence but is mostly glabrous (smooth), which you can see on the rest of this plant. 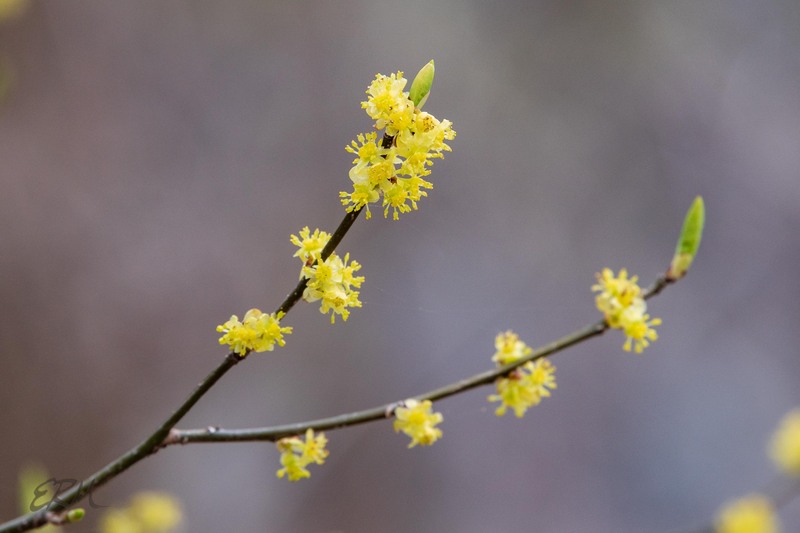 Finally, look at the whole plant: downy yellow has a single flowering stem, with one basal leaf or none, while smooth yellow has two or more flowering stems and one to three basal leaves. 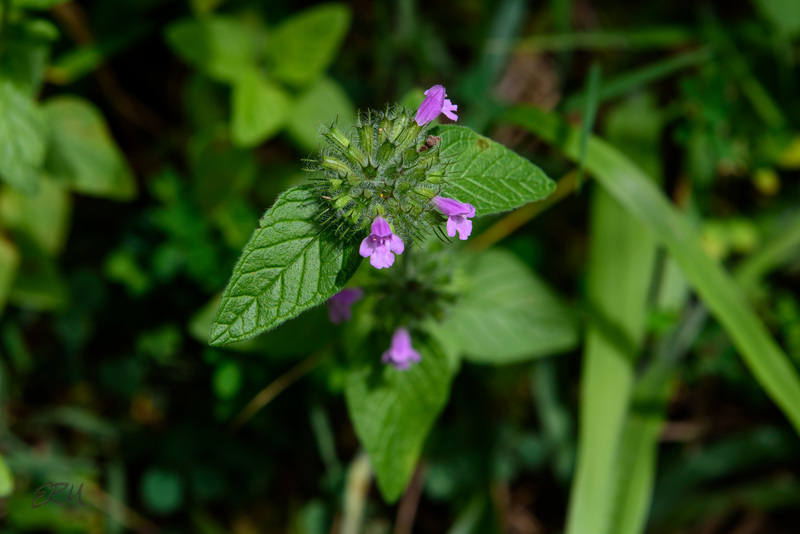 * The plant pictured here appears to have three basal leaves (at one o’clock, six o’clock, and eleven o’clock), one flowering stem with a blossom and a bud (seven o’clock), and a second flowering stem still developing (twelve o-clock). 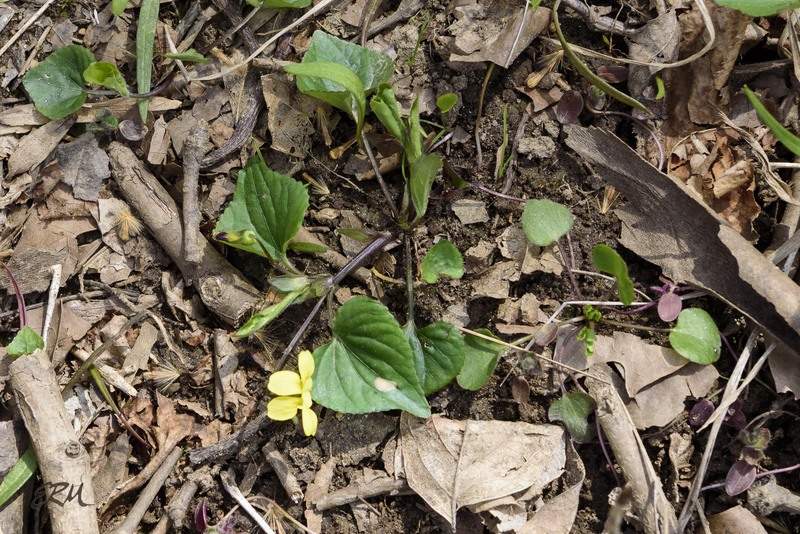 I’ll keep looking at yellow violets this spring, and if I find any of the the downy variety I’ll write a follow-up post. Continuing with pretty pictures during this cold season. It’s a thin line between blue and purple. Color is a continuum. Color is in the eye of the beholder. If some of these look more blue or pink than purple, well, c’est la vie. 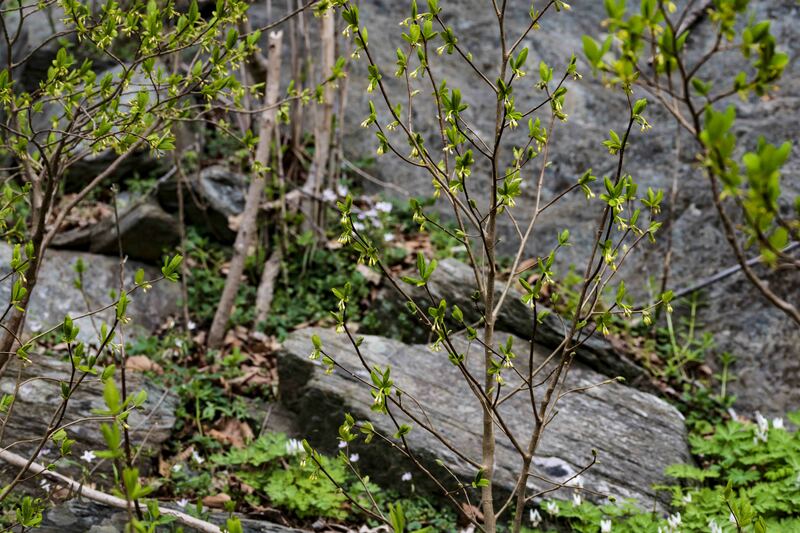 Look for this annual forb growing in rocky places where there isn’t much competition from other plants. 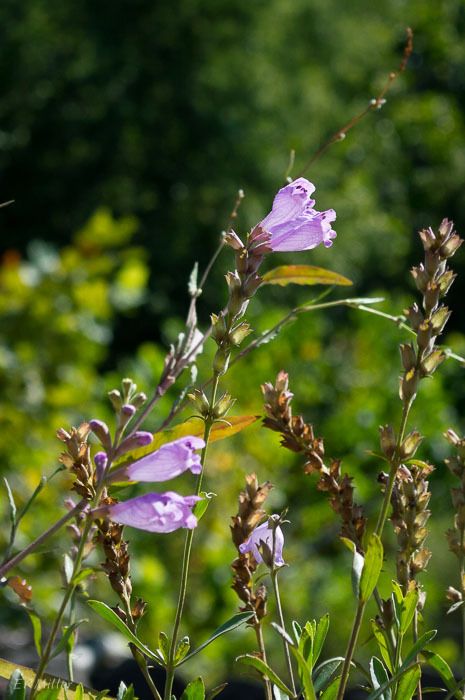 It generally blooms from about mid May into early June here in the Maryland piedmont. A perennial forb with circumboreal distribution. Look for the flowers in the height of summer. 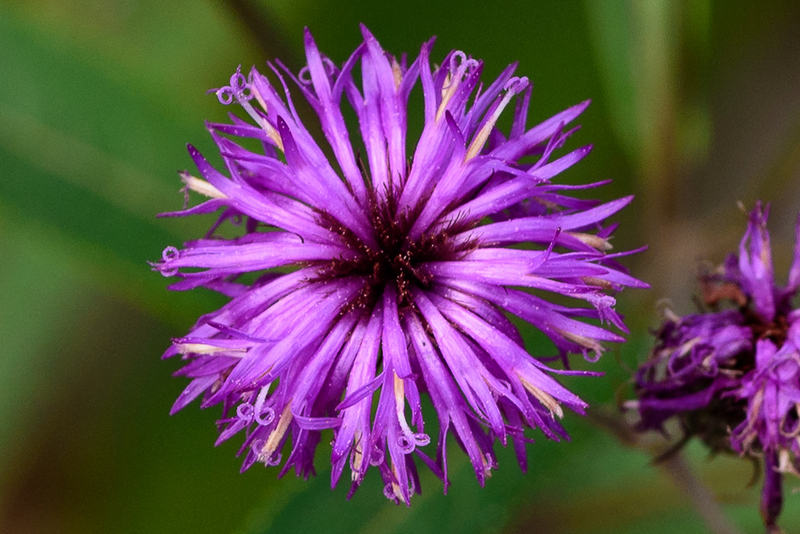 A perennial native to North America, and found mostly in the mid West and mid Atlantic. It blooms in late summer. A rather weedy-looking plant with a fascinating inflorescence. Click on the picture and look closely; you’ll see that this is actually four disk flowers, each with a five-lobed corolla. 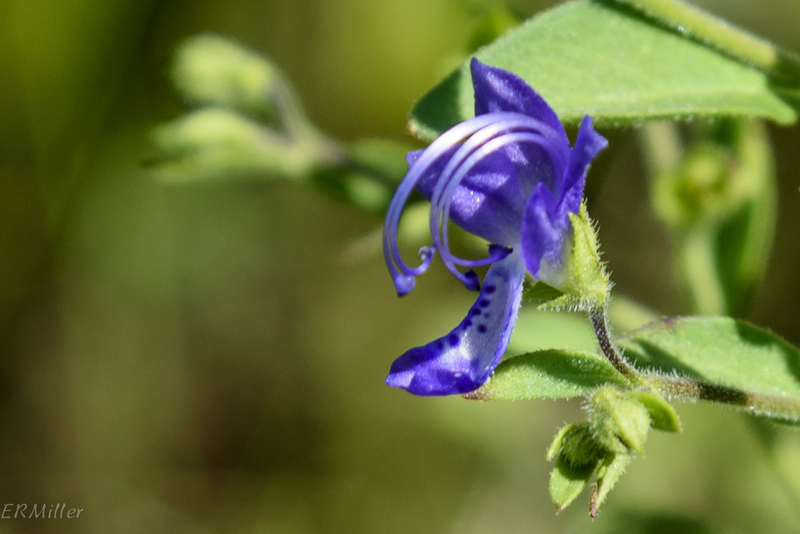 The species is native to the southeastern US (Maryland is almost as far north as it goes). It blooms in late summer. 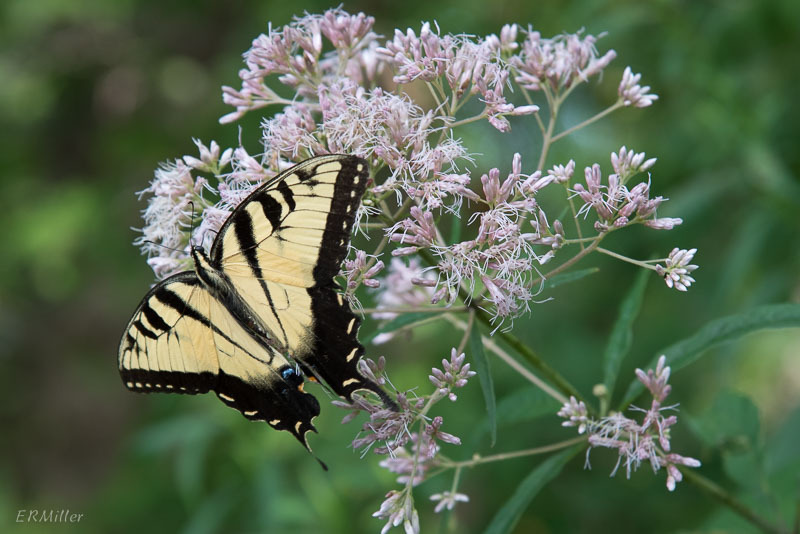 Eutrochium purpureum (sweet joe-pye weed; Asteraceae). 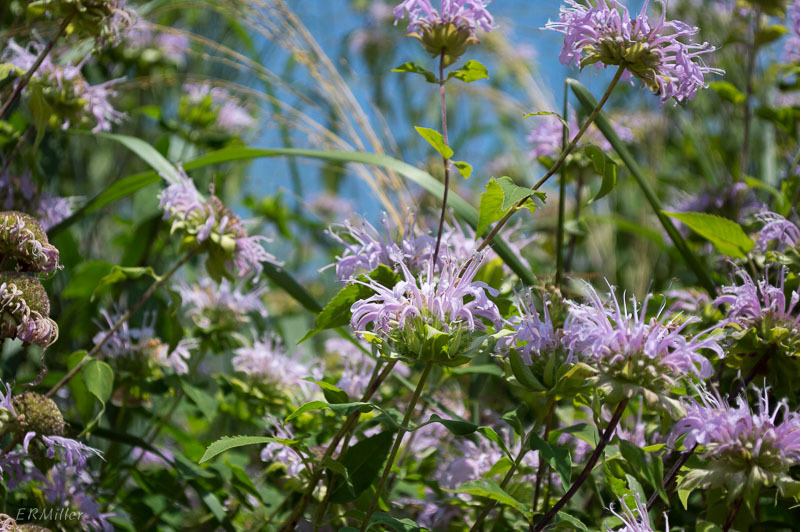 The joe-pye weeds (formerly Eupatorium species) are perennials that love wet places, but this particular species tolerates drier soils and is a great native for the home garden, with dramatic heads of colorful flowers towering above most other forbs. And it attracts butterflies. Blooms in late summer. 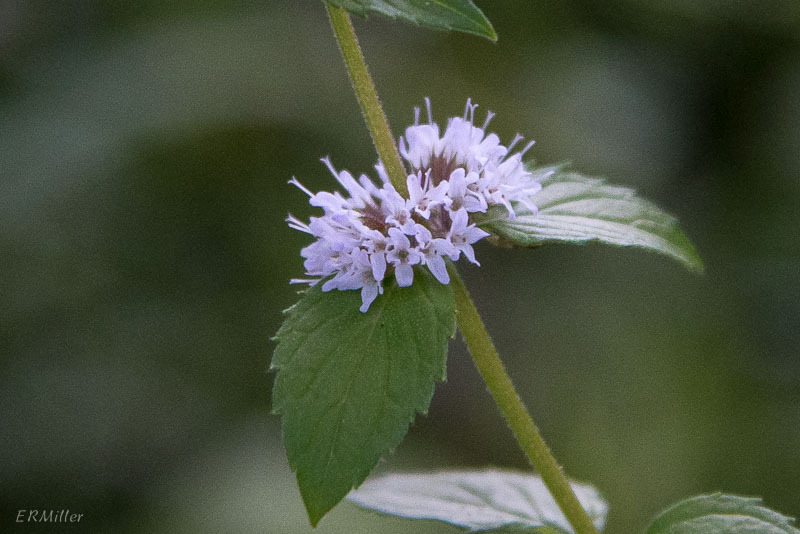 Another mint-family plant with circumboreal distribution. Another late-summer bloomer. 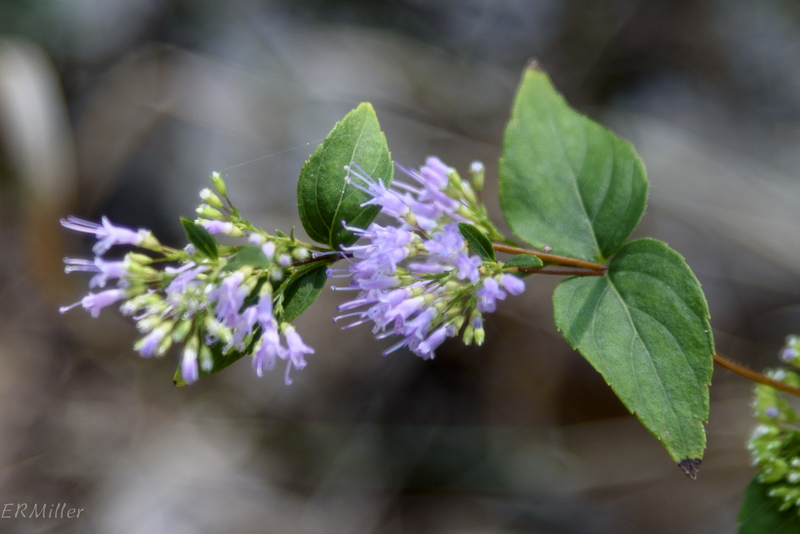 Watch for this wetland plant and its almost identical cousin M. ringens var. 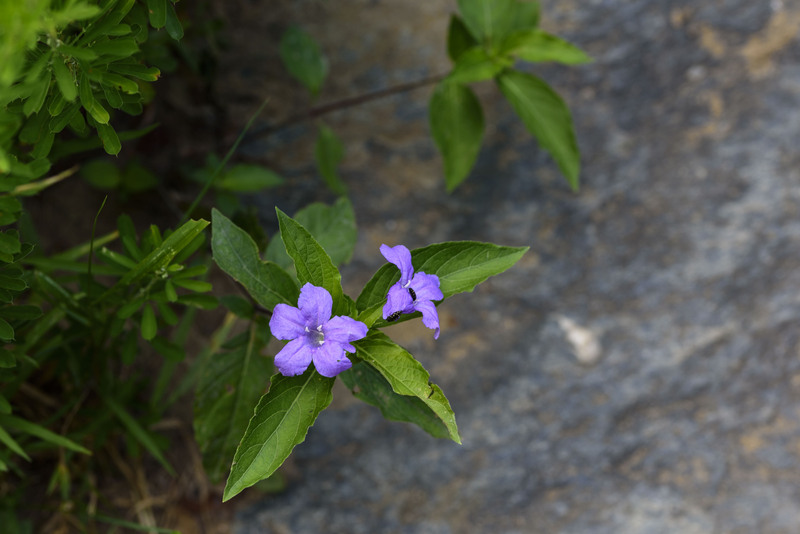 ringens (Allegheny monkeyflower) blooming in early to mid summer. The mint family sure is represented well here. Look for it in mid summer, possibly covered in bees and butterflies. 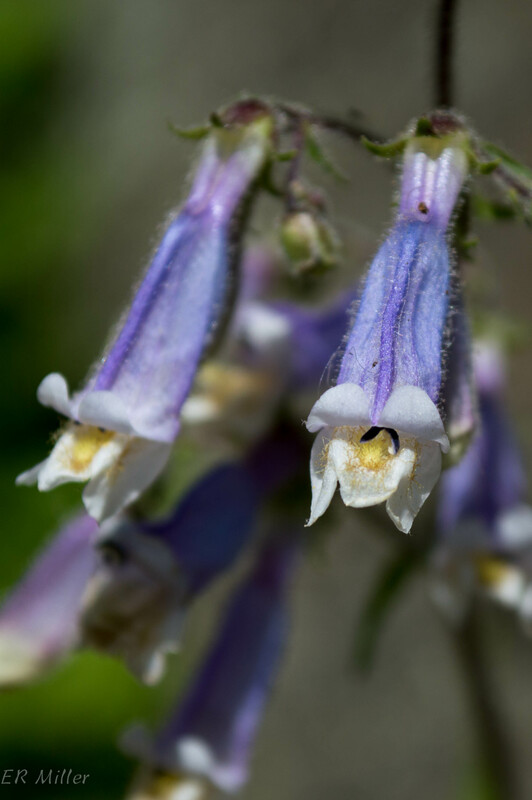 As you can see this flower ranges from almost white through lighter and stronger shades of blue and purple. They bloom at about the same time as Virginia bluebells. 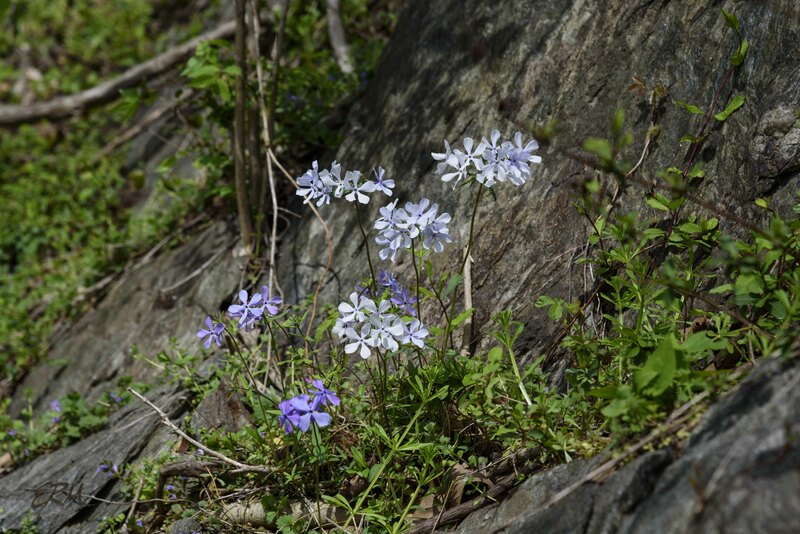 Bluebells grow in the floodplain while this phlox grows just upland of the floodplain, in still moist (but not wet) woodland soils. Yet another mint family mid summer bloomer. Watch for it on rocky outcrops and gravel bars in the Potomac. 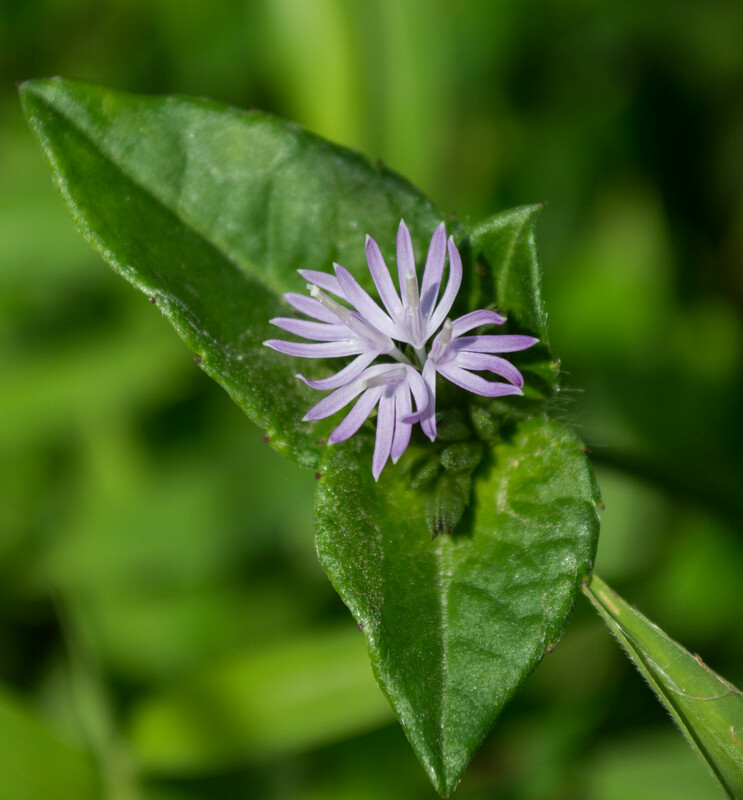 In Maryland this species is found mostly in the Coastal Plain; in the piedmont it’s restricted to a few sites near the Potomac River (as far as I know – please leave a comment if you know otherwise). Watch for it in late spring and early summer. Blue or purple, or splitting the difference? Whatever. 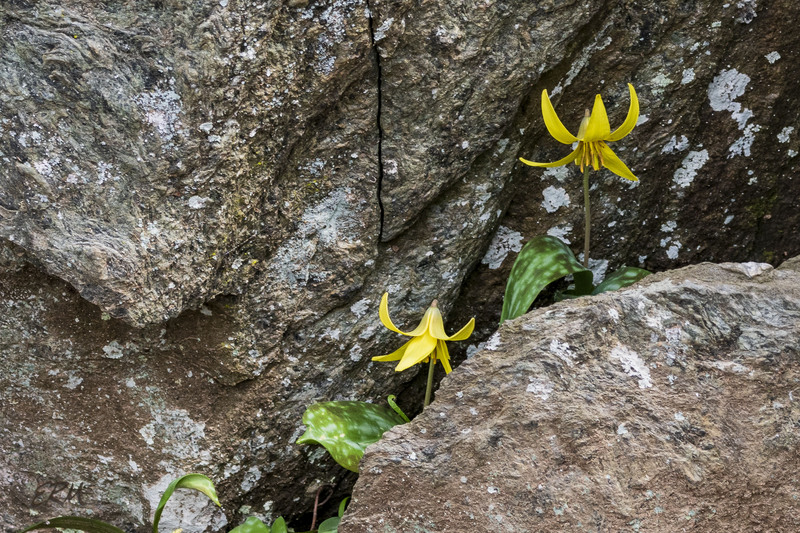 This is a most striking plant, one of those OMG finds. Well it was for me, anyway. What a lurid color. Late summer, dry soils, open areas. Yow. 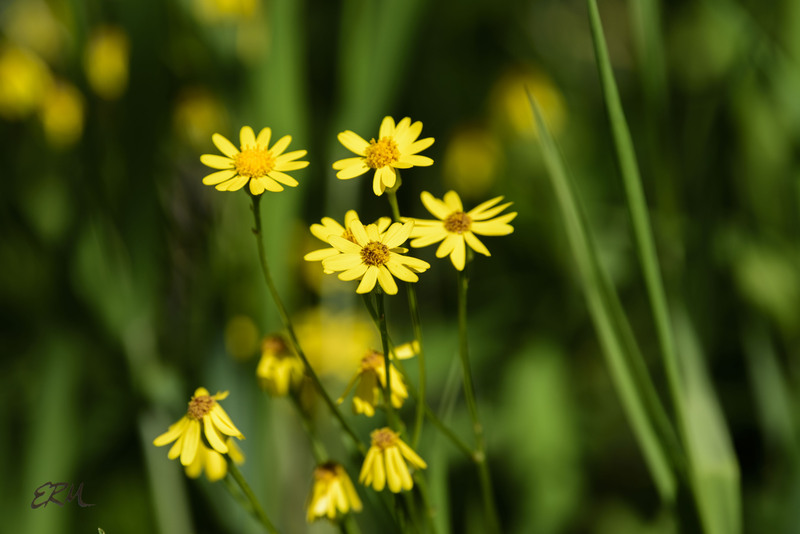 As one of the common names suggests, you’ll find this in wetlands, blooming anywhere from late June to mid August. 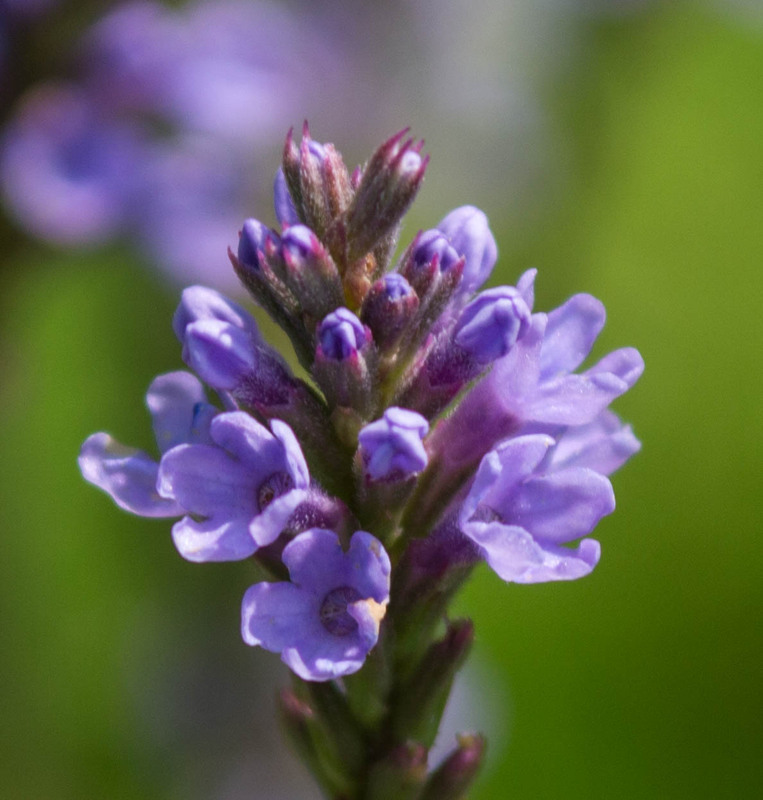 This is an extreme closeup; the plants are rather tall but the inflorescences rather small. All ray flowers with strongly exserted stigmas, no disk flowers. Very tall plant, wispy appearance. Likes wet soils. Blooms in mid to late summer. 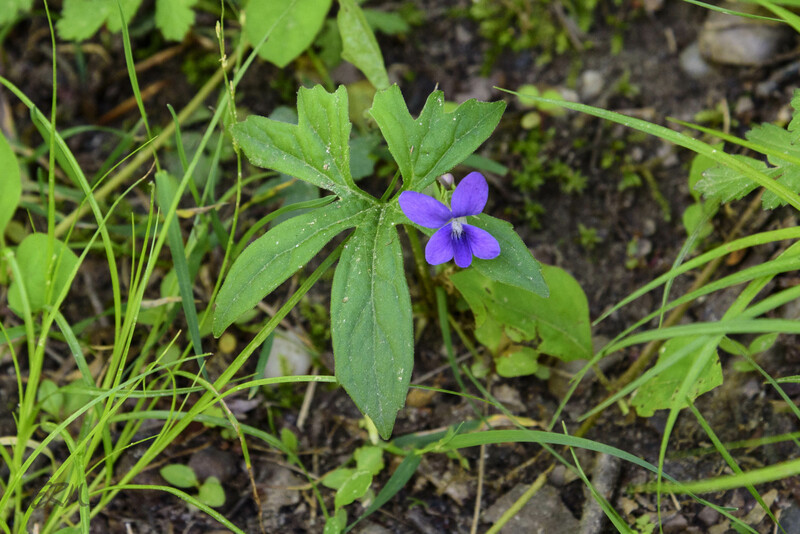 Violet taxonomy is in flux, and violet species can be difficult to differentiate. 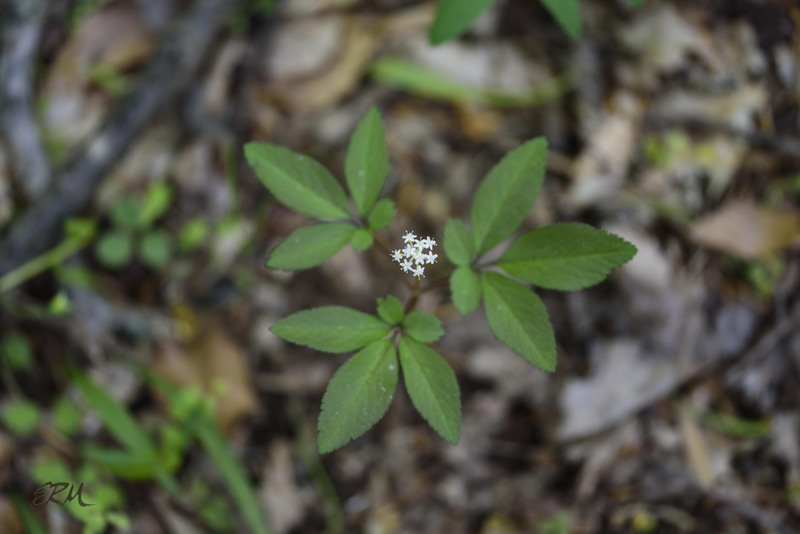 This one is relatively easy because of the unusual leaf shape, although even that can be highly variable. 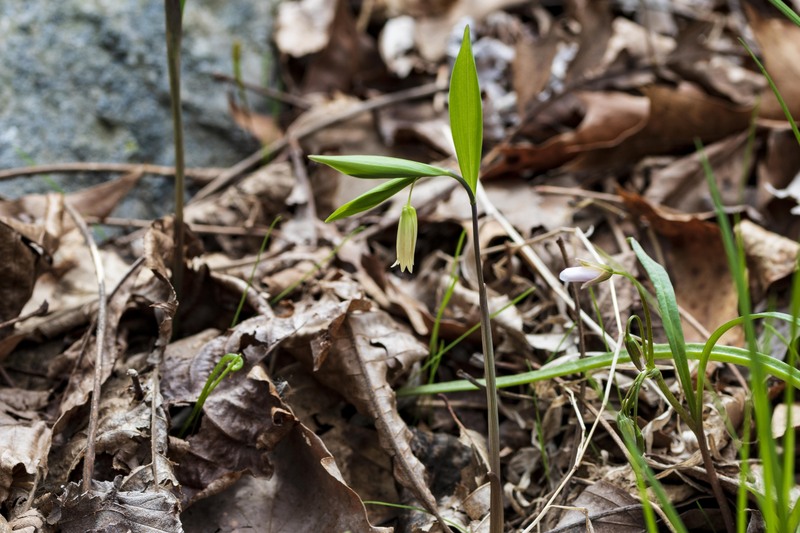 Look for it in mid spring in drier woodlands. 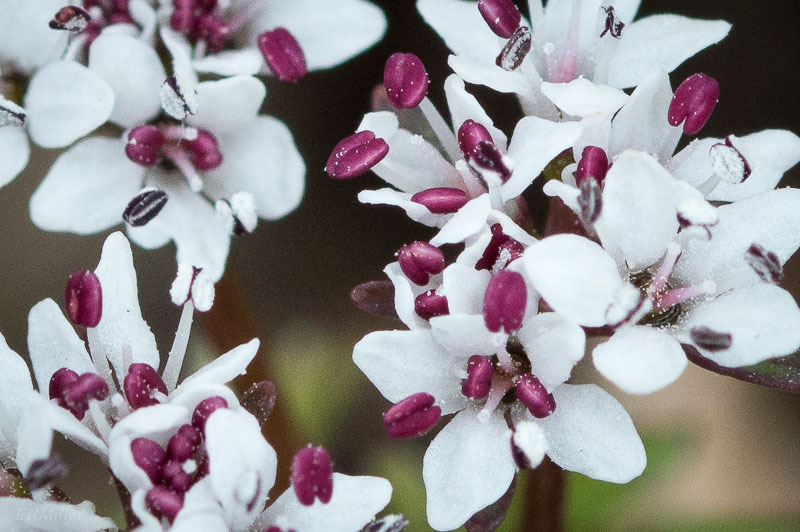 I’ve been so fixated recently on understanding difficult genera that I’ve gotten way behind in posting; there are now a dozen different species that will have to wait until next year, as they’re surely done blooming by now. 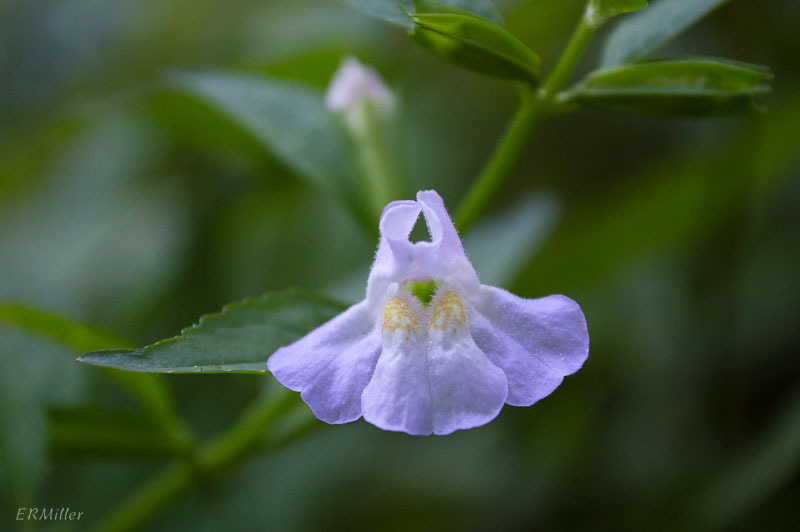 But since Viola has been one area of focus, I’ll do a quick post about one more species. 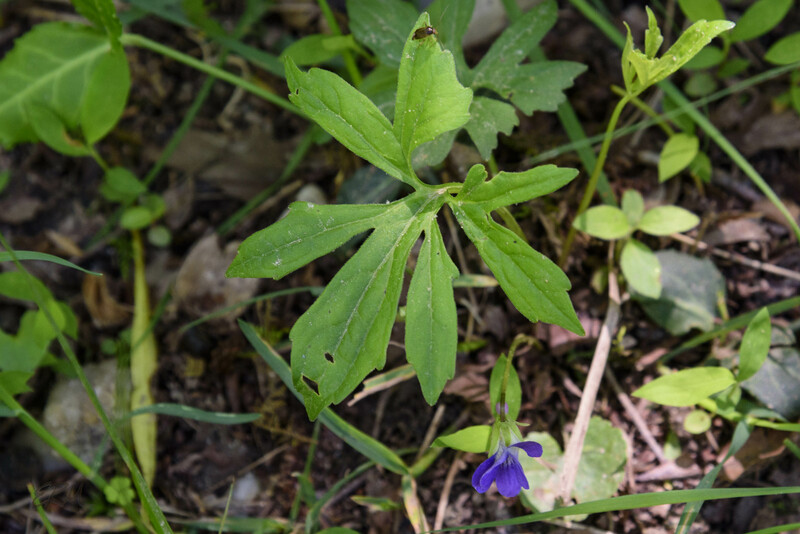 As acaulescent blue violets go, this one is easy to identify, because of the unusual leaf shape. 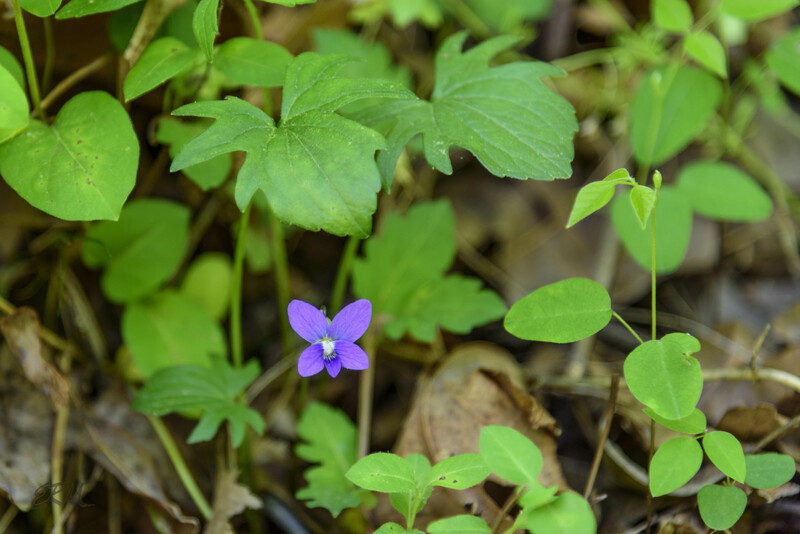 It’s Viola palmata, aka early blue violet, cleft violet, or wood violet. 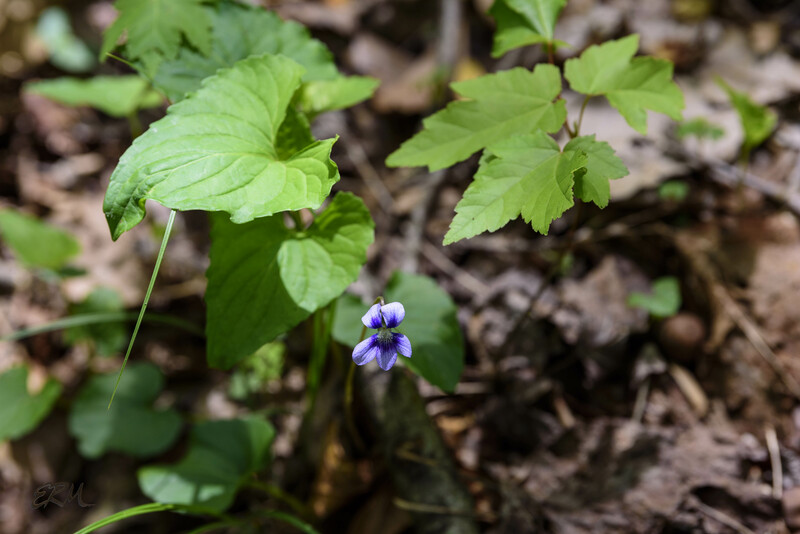 In the southern part of the Maryland piedmont it seems to bloom much later than the other blue violets; I’ve seen no sign of those at the Billy Goat Trails, on Sugarloaf Mountain, or at Rachel Carson Conservation Park in the last two weeks. Note how variable the leaf shape is. 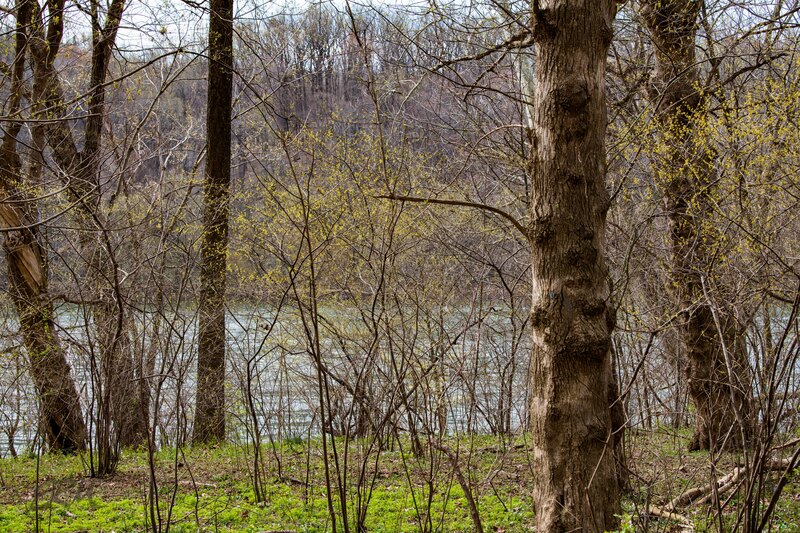 These photos were taken on May 2, along the C&O Canal towpath near the Marsden Tract. 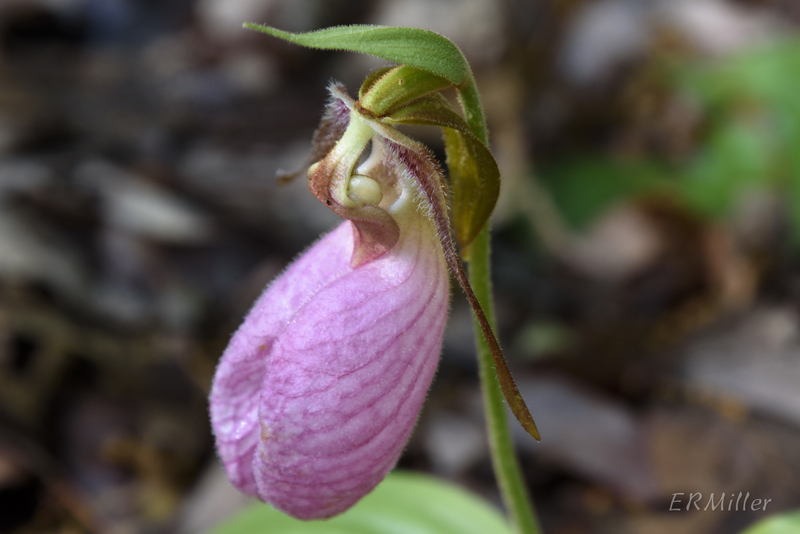 I saw this species last year in mid May on Sugarloaf Mountain, so it’s likely to be blooming still.